Cinco de Mayo, on the fifth of May, is a holiday that celebrates the date of the Mexican army’s 1862 victory over France at the Battle of Puebla during the Franco-Mexican War. A relatively minor holiday in Mexico, in the United States Cinco de Mayo has evolved into a commemoration of Mexican culture and heritage, particularly in areas with large Mexican-American populations. Celebrate tonight with this delicious Cinco de Mayo Dinner. 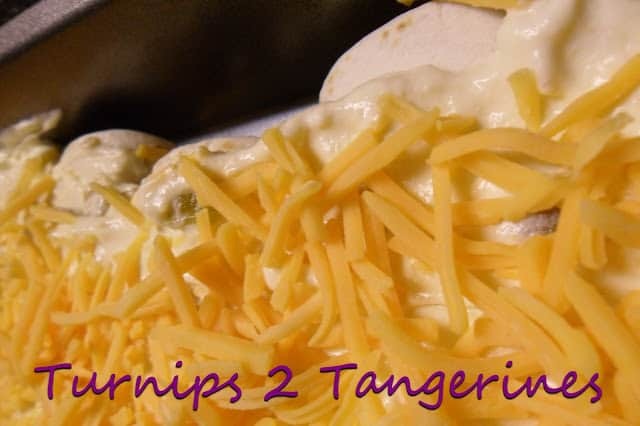 Frozen Margaritas are also great served with this tasty and delicious dip for Warm Turkey Fiesta Dip. 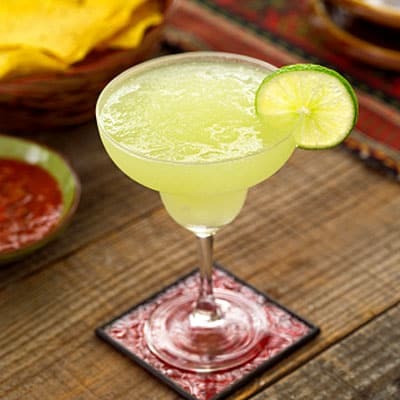 Turn the page to find three more recipes, (Easy Taco Dip, Green Chili Chicken Burritos, Mexican Cinnamon Cream Cheese Brownies) to make this delicious Cinco de Mayo Dinner, plus the recipe to make these cool and refreshing Frozen Margaritas (pictured above). After all no Cinco de Mayo celebration is complete without Tequila! With the back of a large spoon, spread softened cream cheese on a large serving plate. Brown ground beef, drain. Add taco seasoning mix and 3/4 cup water. Cook according to package directions. Spread taco/ground beef mixture on cream cheese layer. 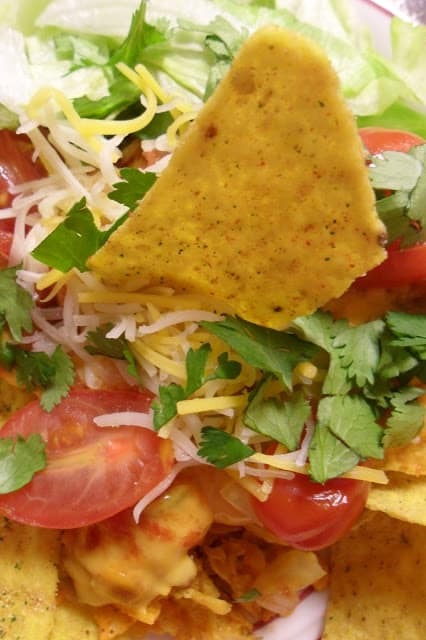 Layer on shredded lettuce, chopped tomatoes, onions and cheese. Pour barbecue sauce over all. Combine pineapple juice, water, tequila, orange liqueur, frozen margarita mix, and limeade in a very large plastic container. (A large, clean, ice cream pail works great for this recipe.) Cover and freeze at least 24 hours or until frozen to a slushy consistency. Moisten rims of margarita glasses with lime juice and dip into coarse salt. Pour margarita mixture into glasses and garnish with lime wedges. Heat oven to 350. Spray 13 x 9 inch baking dish with non-stick cooking spray. In a medium bowl, combine chicken, taco cheese, roasted red bell peppers, green chilies, sour cream and cream of chicken soup; mix well. Spread 2 teaspoons enchilada sauce on each tortilla. Top each tortilla with 1/2 cup chicken mixture. Roll up tortillas; arrange seam side down in prepared dish. Top with remaining enchilada sauce. Sprinkle with cheddar cheese. Spray sheet of foil with cooking spray, cover baking dish with foil, sprayed side down. Bake 45 to 60 minutes or until heated through. Remove foil during last 10 minutes of baking. Divide shredded lettuce between 4 plates. Place 2 enchiladas on top of lettuce on each serving plate. Sprinkle with cherry tomatoes, chopped avocado, and red onion. Serve with taco sauce, sour cream and chopped cilantro. In a small mixing bowl beat butter, cream cheese and sugar until light and fluffy. Add the egg, flour and vanilla extract. Mix well, set aside. Preheat oven to 325º Spray 11 x 7 x 2 baking dish with non-stick cooking spray. In a medium mixing bowl, mix together egg, oil and water until combined. Add brownie mix, ground cinnamon and cinnamon chips. Stir just until combined. Do not over mix. Spread mixture into prepared pan. 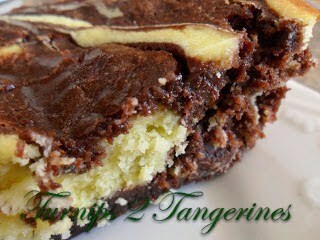 With a large spoon, drop cream cheese filling onto brownie batter. With a knife, cut through filling to create a marble/swirl effect. Bake for 22 to 28 minutes. Thanks for linking up at the Pinterest Power Party!! I would just love to come over for your special Mexican Dinner Night, it all looks fabulous! Thank you very much for sharing with Full Plate Thursday and have a great week!